With Relive Together you can add your friends’ route and activity photos to your video! When you enable Relive Together, you share your route and activity photos with people who went out with you. Our system matches the activities of you and others based on location and time. 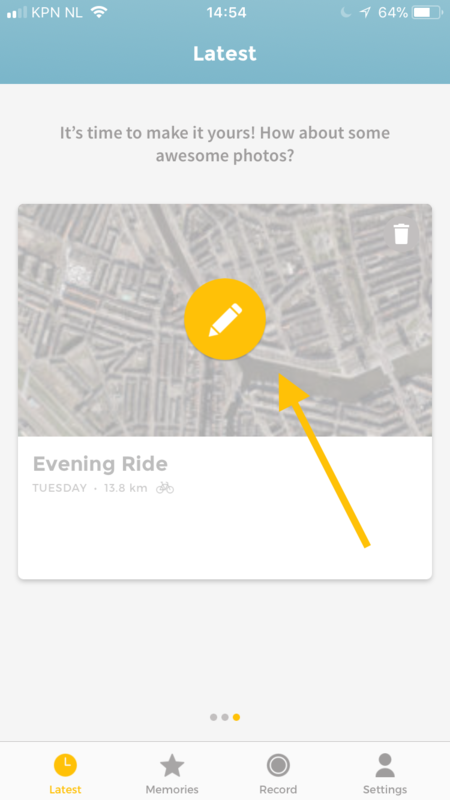 Choose the activity you want to create a Relive Together video, by tapping the pencil Icon. Pencil not visible? Your video is already generated. Only Club members can re-edit the video. 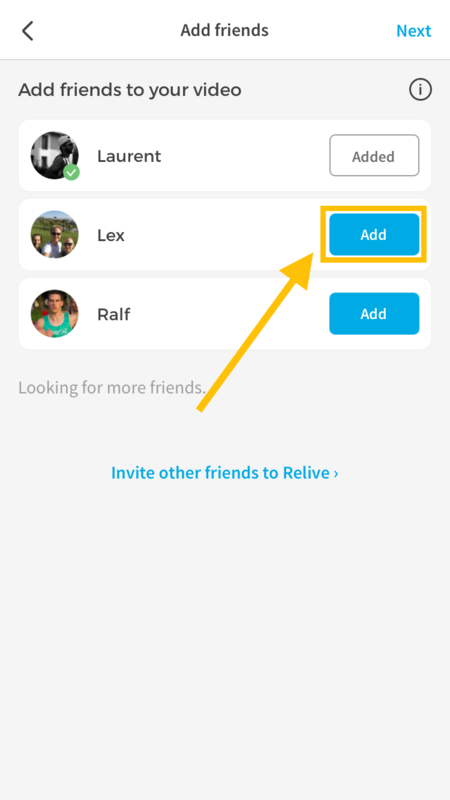 Select the friends you want to appear in your Relive Together video.Tap next until you tap create. Wait a little while and your Relive will be ready. Some friends might have set their account to private, meaning they don't want to appear in other people's videos. Some friends might still have to upload their activity to Relive. Tell them to upload it before you make your Together video, otherwise they won't feature in yours.